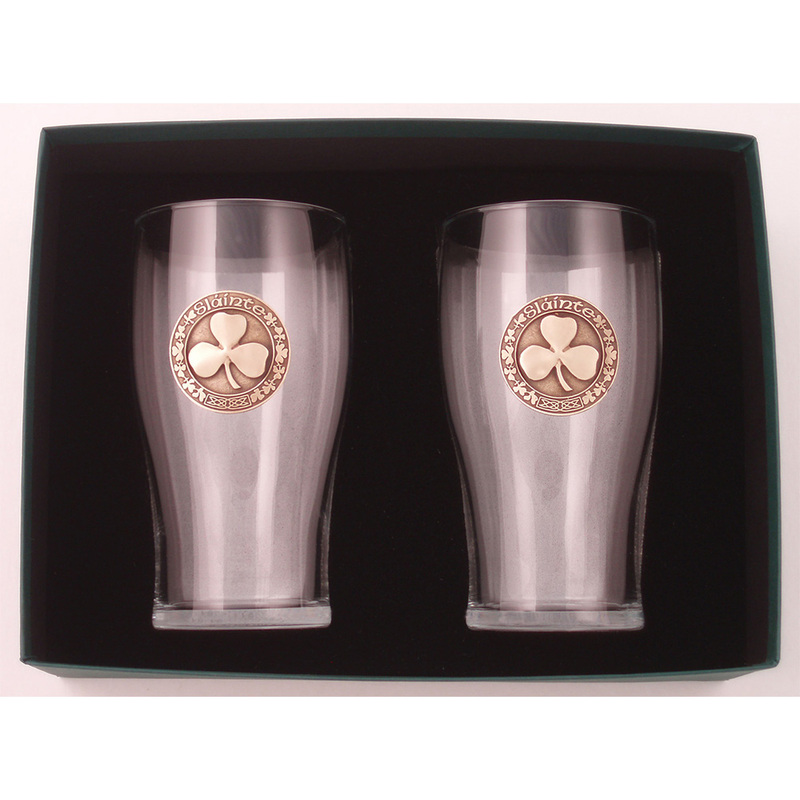 Pair Tulip Glasses / Brass Finish Shamrock “Slainte” – The Robert Emmet Company Inc.
Set in a sumptuous presentation box, nesting in thick foam with clear cover. 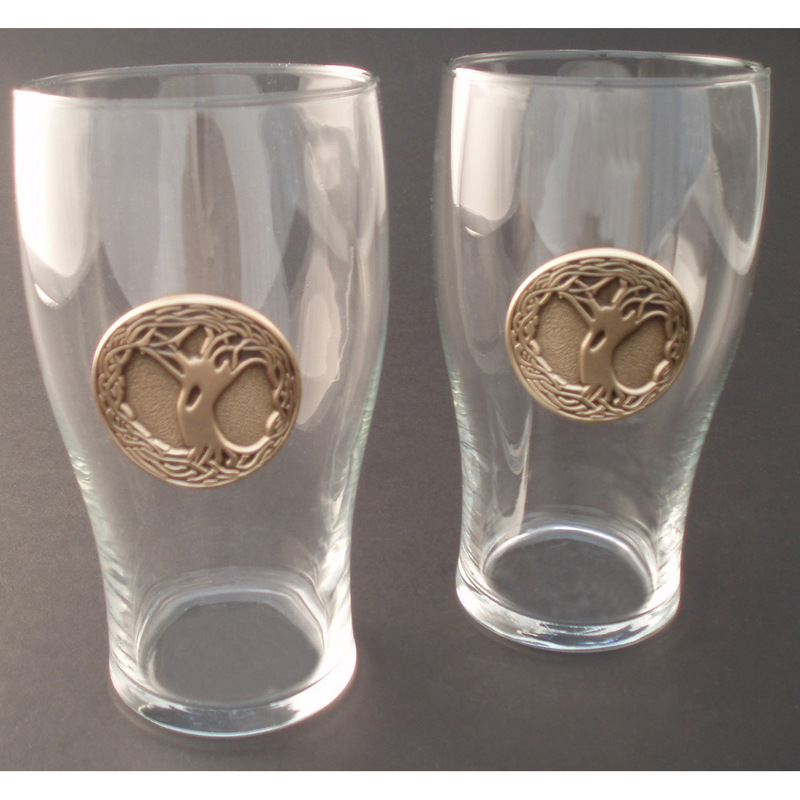 Pair of 20 Oz. 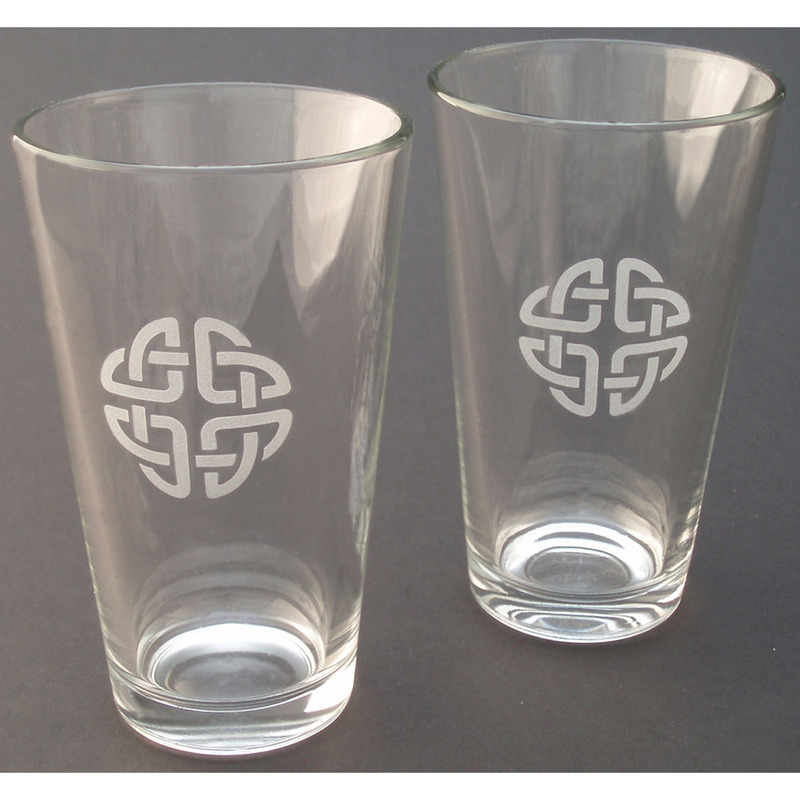 “Tulip” glasses, the same style as found in most Irish pubs. 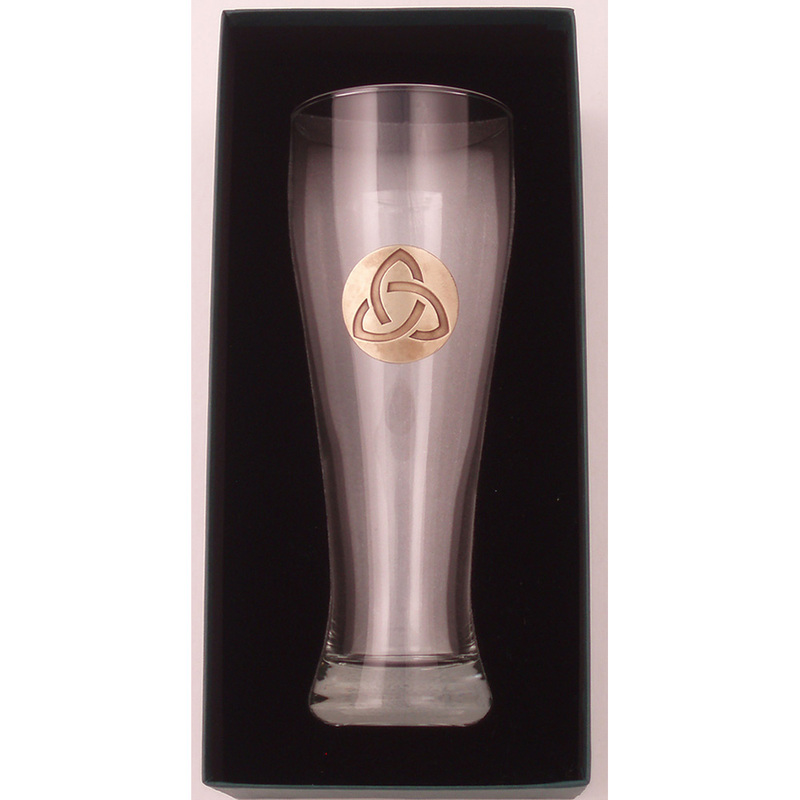 Features brass-plated Fine Pewter medallion attached to each glass. 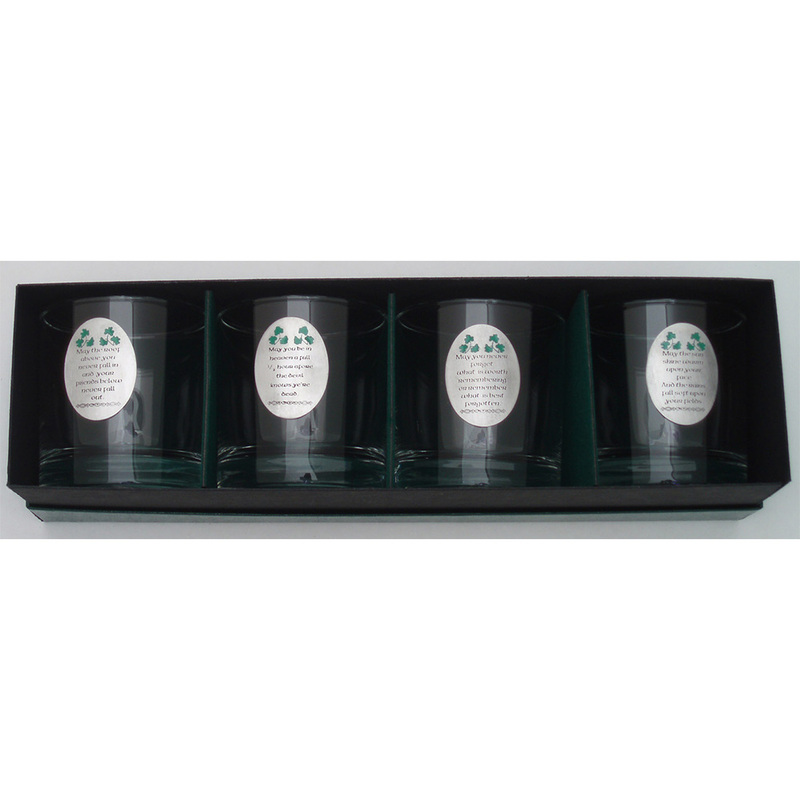 Also available in silver-tone Antique Pewter finish medallions at slightly lower price point.